The U.S. Air Force is preparing to select up to three companies later this year for Launch Services Agreements, the Pentagon’s name for cost-sharing public-private development contracts aimed at giving the military multiple launch options in the 2020s, all with U.S.-supplied propulsion systems. ULA, which was the only launch provider certified by the Air Force until 2015, is retiring most of the configurations in its Delta 4 rocket family in 2019, followed by the phase-out of the Delta 4-Heavy version in the early or mid-2020s. The company says the Delta 4 is no longer competitive on cost. 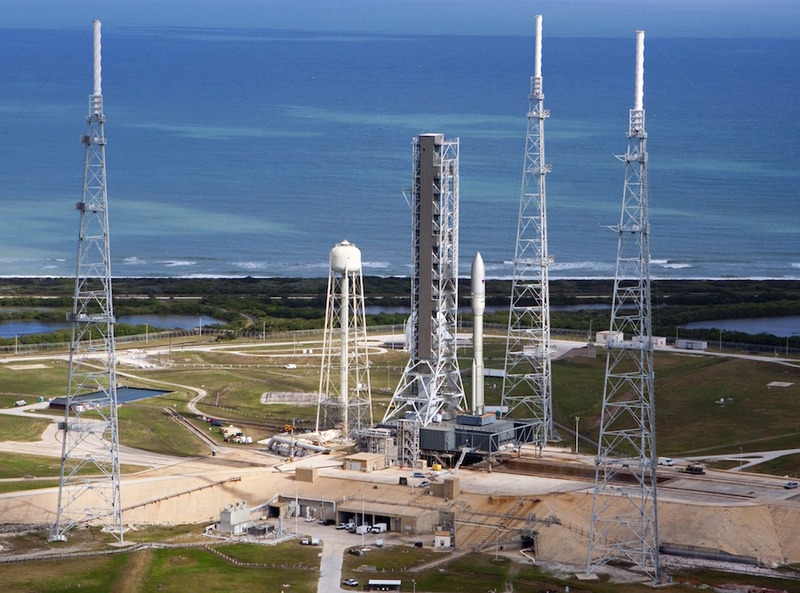 ULA’s Atlas 5 will be replaced by the Vulcan rocket in the early 2020s, a two-stage launcher that will use U.S.-made engines. This Atlas 5, which is less expensive than the Delta 4, currently uses Russian-made RD-180 engines. SpaceX’s Falcon 9 rocket is the other major player in today’s national security launch market. Since its certification by the Air Force in 2015, the Falcon 9 has won contracts to launch five GPS navigation satellites, and is in the running for more military launch deals. The Falcon Heavy rocket, which flies with three modified Falcon 9 rocket boosters bolted together, is not yet eligible to launch the military’s most expensive space missions. That certification will come once the Falcon Heavy accrues multiple successful flights, and goes through a detailed Air Force engineering review. Orbital ATK is a newcomer to the market for launching large military communications, navigation and reconnaissance satellites. But Laidley says the company’s Next Generation Launch system, which uses solid-fueled first and stage stage motors topped with a cryogenic liquid-fueled upper stage, is a solution the Air Force should consider. The Air Force awarded funding in 2016 to ULA, SpaceX, Orbital ATK and Aerojet Rocketdyne to work on U.S.-made propulsion technology to power new rockets, eyeing a replacement to the Russian RD-180 engine. The funding agreements required the companies to put forward some of their own money in the effort. ULA directed much of its funding toward Blue Origin, the space company founded by Amazon.com’s Jeff Bezos which is testing the BE-4 engine fueled by liquified natural gas. ULA says Blue Origin’s BE-4 engine is their preferred option to power the Vulcan rocket’s first stage. SpaceX’s slice of the Air Force engine money went toward the company’s Raptor engine, a methane-fueled powerplant for a huge new rocket named the BFR, or Big Falcon Rocket. 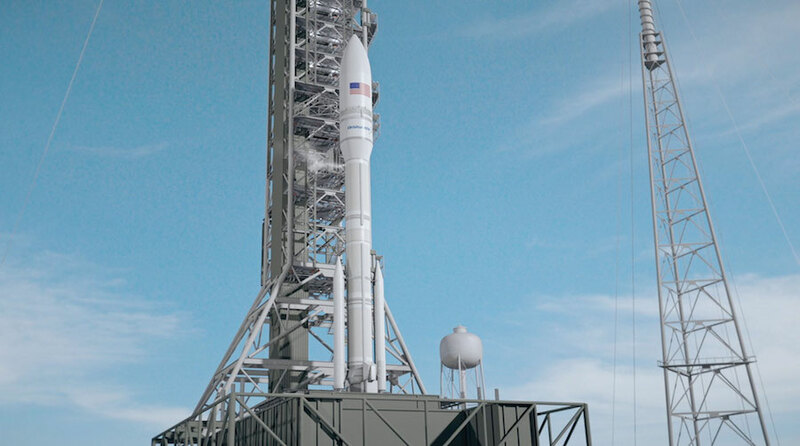 Orbital ATK focused its funding on the Next Generation Launch system, while Aerojet Rocketdyne — an engine-builder, not a rocket operator — advanced the design of its AR1 engine, which ULA is keeping as a backup option for the Vulcan launcher in case the BE-4 runs into trouble. The Air Force released a follow-up request for proposals in October, seeking bids for government funding to help launch companies pay for their next-generation rockets through the military’s Evolved Expendable Launch Vehicle program. The Launch Services Agreements will be announced in the next few months to fund continued work on up to three launch vehicles, followed by a down-select to two providers in late 2019. Laidley recently spoke with Spaceflight Now about the NGL program’s history, its business prospects and technical design. Q: How long has the Next Generation Launch system been in development? A: “We started working on this activity as part of the Air Force’s RD-180 replacement program. The Air Force was directed by Congress to go develop replacement options for the RD-180. The propulsion systems group put together a proposal for a solid first stage and second stage propulsion system to support RD-180 replacement … that are based on our shuttle-era heritage. The old segmented shuttle design was updated, and we’ve developed designs that are segmented, but have composite cases, and have new manufacturing processes to improve the efficiency of the overall production of the motors and motor segments. In 2015, we were selected to move forward with those designs and the actual contract was signed, the Broad Agency Agreement was signed in January of 2016. But the team has been working since 2015 to put together the design for the propulsion element for this EELV program. About the same time, on the launch vehicle side, we started working using our own internal funds to determine how we could use these propulsion products in a launch system that would support all the EELV mission requirements. The Air Force publishes requirements documents on the capability needs for all the payloads that are required by the Air Force, for both their own internal missions and the national security missions that they launch for others in the government. We’ve been working to develop a launch system that would support those EELV mission requirements — all the different launch payload types and orbits. So we’ve been working on that now for about two-and-a-half years. Last year, that culminated in the Air Force’s Request for Proposals for the Launch Services Agreement phase of the development program. It’s what was previously called Step 3. It’s the LSA phase now. We submitted that proposal for that activity in November, and we were notified in February that we were in the competitive range. We continue to work with the Air Force to negotiate and refine our proposal to support this next phase. The LSA phase would cover the full launch vehicle devleopment for both the intermediate configuration and the heavy configurations, extending all the way through certification flights for both the intermediate and heavy configurations. The Air Force has told us their plan is to bring three partners into the LSA phase, and then in late 2019, there will be an LSP phase, a Launch Services Procurement phase, and in that procurement phase they will down-select to two providers to award missions to for future launch services. Q: What does it mean for the NGL proposal to be considered in the competitive range by the Air Force? A: “What that means is that they’ve completed their initial evaluation of our proposal. What that meant from our perspective is that our investments on the launch system can now count towards our contribution share ratio. We’ve been working this continuously, since we’ve been using a lot of our own money over 2016 and 2017, certainly all our own money on the launch vehicle side, to make sure that the propulsion products that are being developed under Rocket Propulsion Systems will have a launch vehicle family that will support the Air Force’s mission requirements. Q: Is the composite case something new for NGL? Q: What’s the composite material? A: It’s a special fiber and resin mix, but it’s basically a composite fiber. Q: How confident are you going into the down-select this summer by the Air Force? A: “We’re very confident that we’re going to receive selections for the next phase. We think that we offer the Air Force a good opportunity to maintain their prime directive of assured access to space. We think solid motor propulsion has a place in this market, and we’re anxious to provide that. We also think that we’ve got a diverse business base. We’re the only offer that has the kind of diversiy in the business base that we have. That provides the Air Force an opportunity, in a sense, that we’re able to better handle the changing launch rate. The peaks and valleys that the Air Force encounters over the years as the launch rate fluctuates we think we’ve got a good industrial base that allows us to move folks on or off and more flexibly handle changing launch rates. Q: Do you plan to use the funding you would receive from the Launch Services Agreement to help pay for development of the entire launch vehicle? Q: So if you want a Launch Services Agreement, that covers NGL all the way through test flights? Q: How much have you spent on the NGL program to date? I saw a $200 million number that combines the Air Force and Orbital ATK investments, but it’s a few months old. Q: How much funding is coming from Orbital ATK, and how much from the government? Q: And the minimum is one-third from internal funds? Q: Are there any other funding streams for the NGL system outside of the Air Force and Orbital ATK’s internal capital? Q: Do you expect that Orbital ATK’s new ownership at Northrop Grumman will be supportive of the NGL program, once their acquisition of the company is complete? Q: When are your first flights of the intermediate and the heavy vehicles? Q: The Air Force only requires two successful missions for NGL to be certified? A: “That’s right. The path we’ve chosen under the certification activities involves giving the government a significant amount of insight into our design activties and our design details. As we go through these design reviews over the next couple of years, we’re working very closely with the Air Force and their certification subcontractors to give them full insight into the the requirements and our verification methodologies for various components and systems. That path allows us to certify with two successful flights. The heavy configuration will then go through certification flights in 2024. We need two certification flights of each configuration. In 2021, we’ll do two intermediate class certification flights, and then in 2024, we’ll do two heavy. The difference between the heavy and the intermediate is the heavy has a Castor 1200 first stage, which is a four-segment solid motor design, and then it’s got a little bit larger liquid oxygen/hydrogen second stage. On the intermediate, we’re sizing that stage at about 70,000 pounds of propellant. For the heavy, we’ll be at about 110 or 115,000 pounds. Q: Do you plan your first test flights from Florida? Q: Still looking at pad 39B at the Kennedy Space Center? Q: When will you begin preparing the high bay and the mobile launch platform? Q: What options do you have for a West Coat launch pad? Q: SpaceX and ULA have given ballpark figures for their prices for a Falcon 9, Falcon Heavy, or Vulcan flight. Can you share Orbital’s projection, even an approximation, for how much NGL will cost per mission? A: “We’re not prepared to share a ballpark figure. We will certainly be competitive. We took a hard look at what those missions have sold for historically, and we can be competitive in that marketplace. We’re in this competitive environment where we’re trying to win the next phase, and ultimately the Launch Services Procurement, so we’re not ready to disclose dollar values yet. Q: Are you close to an upper stage selection? Q: Who is building the NGL fairing? Q: You’re building the solid rocket boosters in-house, correct? How many will fly on NGL? Q: How many boosters will fly on the certification flights? Q: How many NGL missions do you need to fly per year to make the program sustainable? Q: Did you look at reusability when you were designing NGL? 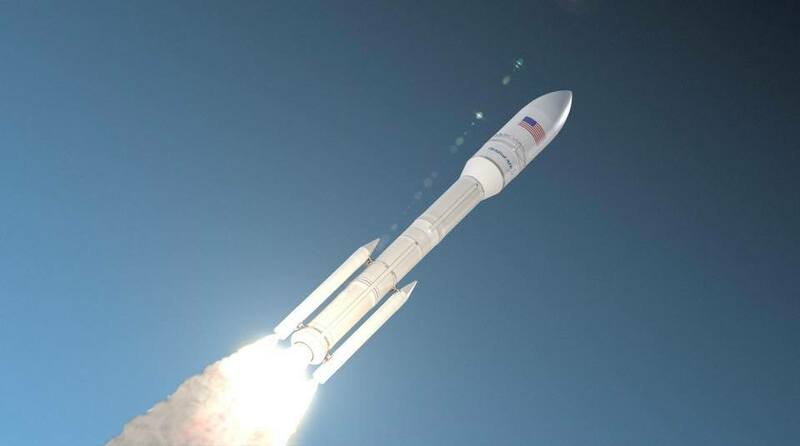 Q: How significant was the Orbital Sciences/ATK merger in making a program like this feasible? Q: Where will the composite motor casings for NGL be produced? Q: How much thrust will the Castor 600 and Castor 1200 core motors produce at liftoff?